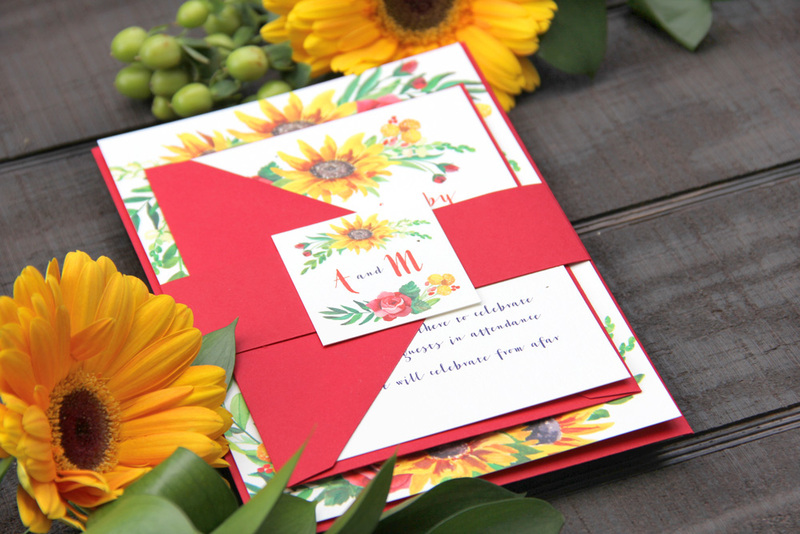 The bride wanted her wedding invitations to reflect her wedding colors and florals. Her colors were red and navy blue for the bridesmaid dresses and groomsmen suits, and sunflowers and roses for her flowers. 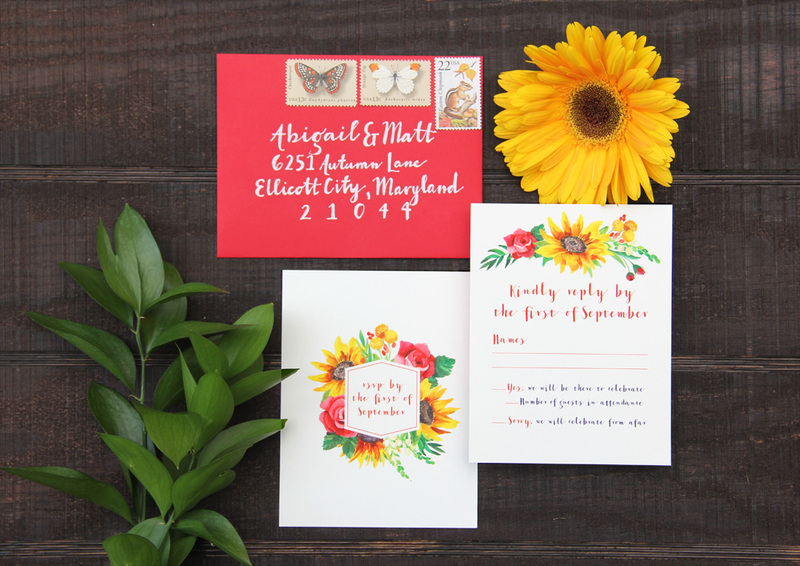 Watercolor florals were hand-painted for the main design elements for the wedding invitation suite. The florals were paired with a hand-lettered style font, and the whole suite was tied together with a monogrammed belly band.